Hold onto your butts, everyone! 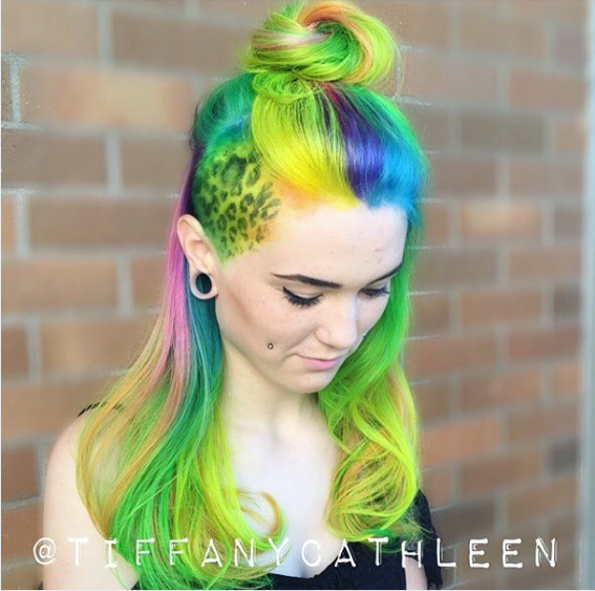 The Lisa Frank hair trend is here! And god, I hope it never goes away. I know they say nothing lasts forever, but I think we can all agree that “they” are jerks and also, can we please just have this one thing? The colors are so beautiful! I tried to have a turquoise/aqua stripe in the back of my head underneath my normal hair. I have fine hair colored lighter than my normal color. No matter what I do I cannot get it to be vivid and stay in like a permanent color, nor can I find a permanent aqua color. Is this commercially available? How can I get it to stay in and not wash out? Please help!